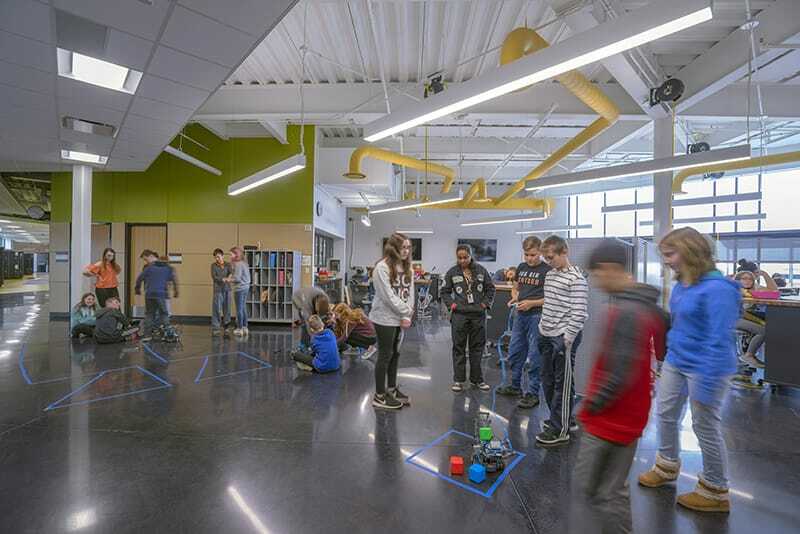 New intermediate school focuses on the creation of interactive and open learning spaces to promote collaboration and participation amongst students. 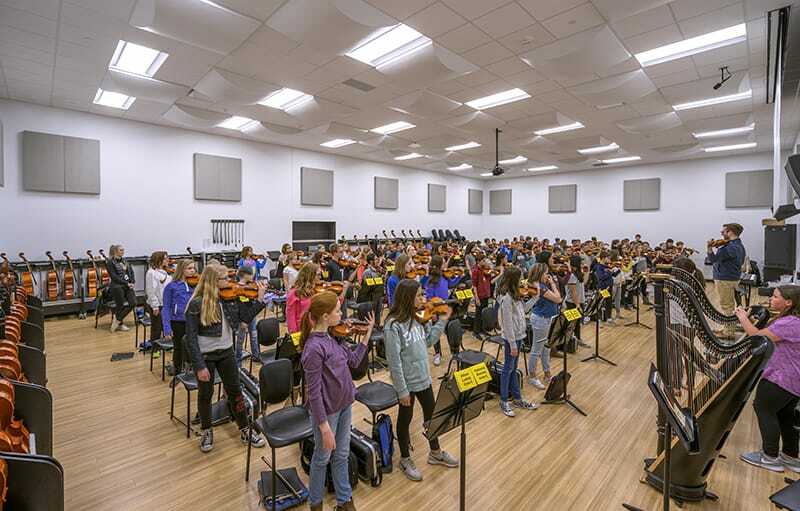 Gilbane served as construction manager for Perrysburg Exempted Village School District’s new intermediate elementary school. Scope of work included the construction of a new school that houses fifth and sixth grade students, as well as the addition of safe and secure entryways to four of the district’s elementary schools. The new school is occupied by 800 students with built-in flexibility to accommodate up to 900 students. The buildings layout includes two main entrances with separate drop-off areas for buses and parents. 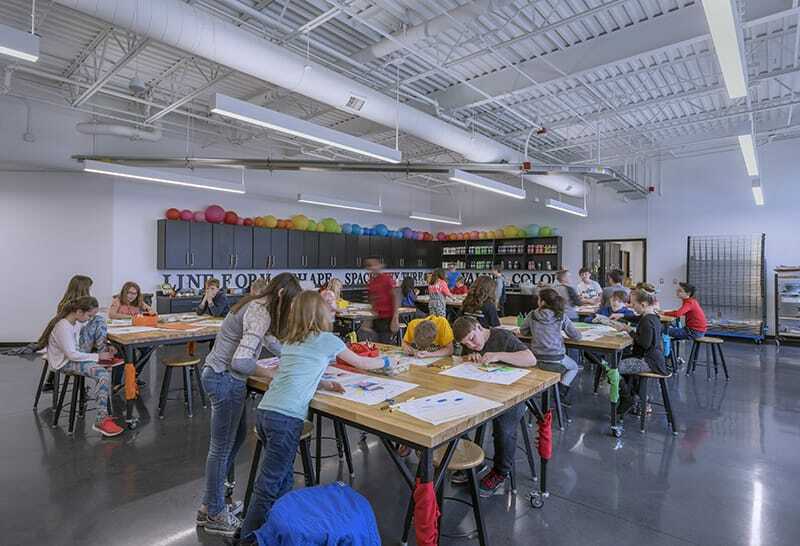 A gymnasium, kitchen and open lunch area make up the northern part of the building, with art and music classrooms to the west. 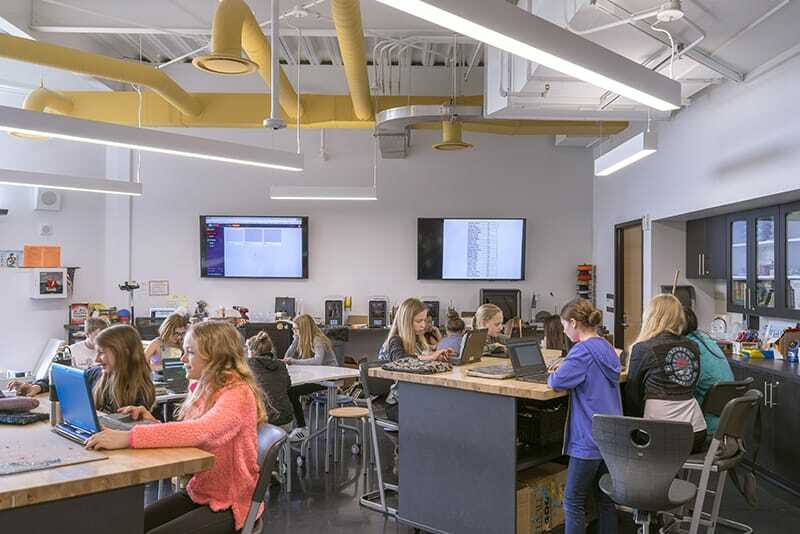 Academic areas are located in the southern portion of the building and include two floors of classrooms, as well as collaboration centers that serve as flexible common areas. The intermediate school was awarded STEM designation by the Ohio Department of Education and the Ohio Stem Learning Network, the first intermediate school in Ohio to receive this prestigious designation. Throughout the project, fourth and fifth grade students within the district were given the opportunity to participate in Gilbane’s Junior Builder’s program. During the program, Perrysburg students visited the site once a month and learned about the construction process and various roles workers played during the construction of their new school.